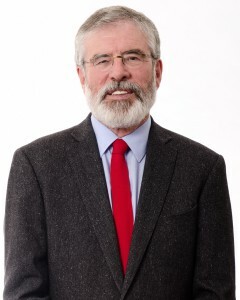 Sinn Féin Louth TD Gerry Adams has called again on the Irish government to expel the Israeli Ambassador and to formally recognise the state of Palestine. “The refusal of the Cabinet to do no more than issue a call for an independent investigation into the dreadful events in Palestine is in reality a call to do nothing. “We are all aware of the mass killings of Palestinian protestors. The government has rightly repudiated the Israeli government actions. But the Taoiseach claims that to expel the Israeli Ambassador is against the principle and imperative of dialogue. Not true. “Recently the government expelled a Russian diplomat not for any alleged wrong doing in this state but in solidarity with the British government. “So, the Taoiseach and the Minister should stop finding excuses for not taking positive action that gives meaningful expression to the rejection by the Irish people of the treatment of the people of Palestine. 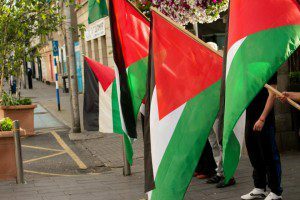 “There is no excuse for the government not formally recognising the state of Palestine as agreed by the Dáil and Seanad. If the Irish don’t stand by the Palestinians who will? If we as a former colony, still occupied in part by a government we don’t want; if we with our history of freedom fighters and resistance and our peace process; if we don’t uphold the rights of the Palestinians who will? “Their land is being slowly stolen from them. Hundreds of thousands of Israeli settlers live on Palestinian land in violation of UN resolutions. Their water rights are taken. They live in poverty and disadvantage, with no rights to freedom of movement. Our government’s stance is a cop out. 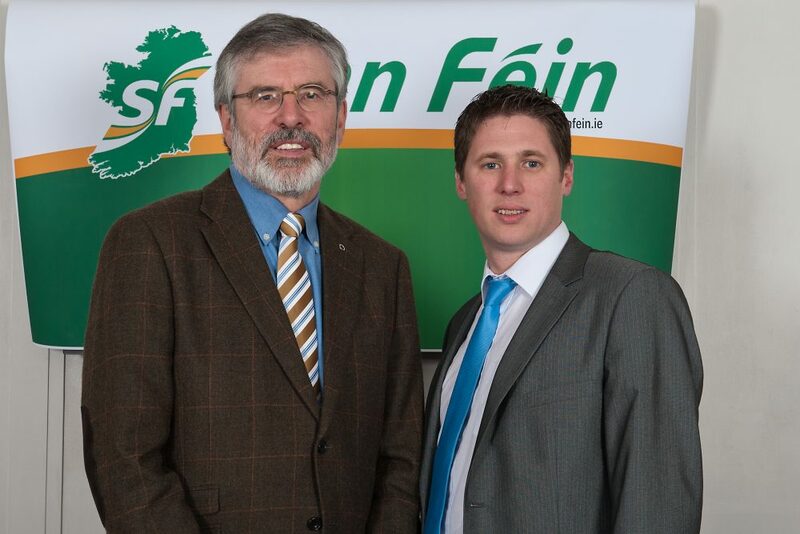 “What is Sinn Féin asking for? We are asking for our government to demand that the international community uphold international law. The muted words of condemnation are insufficient. “I have visited the Middle East five times in recent years. I have spoken to Israeli leaders and citizens and Palestinian leaders and citizens. I have been in Gaza City and the west Bank. I have been in the refugee camps, spoken to children released after years in Israeli prisons, spoken to their parents who despair at the neglect of the international community, and walked along the abhorrent separation wall which cuts Palestinian families off from their land. “Those Palestinian academics and others who organised the recent series of protests to mark 70 years of the Nakba, took as their example the non-violent campaigns of Martin Luther King and of Ghandi. The protests in Gaza were the Palestinian equivalent of the March to Selma. A peaceful, mass protest at an injustice ignored for 70 years. 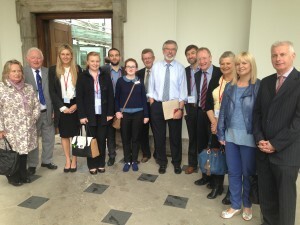 Sinn Féin Louth TD Gerry Adams today hosted the GAA Healthy Club project from Croke Park to the Dáil. The Sinn Féin leader invited the GAA Community and Health team into Leinster House to brief Oireachtas members of the project. The briefing was presented by Colin Reagan, the GAA Community and Health Manager and his colleagues Stacey Cannon, Emmet Haughian and Brid Traynor. 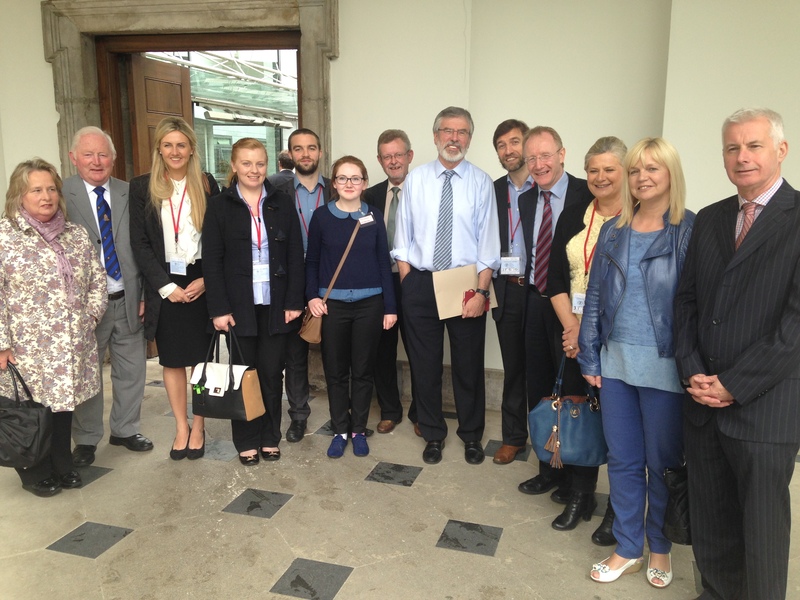 It was attended by around two dozen TDs, Seanadoirí and staffers. Healthy Club is a partnership effort involving the GAA, Healthy Ireland, the Health Service Executive and the National Office for Suicide Prevention. It is funded by the HSE and Irish Life have donated €1 million over three years. Healthy Club is rooted in the volunteer spirit of the GAA and is about health promotion. It involves a wide range of specific initiatives including mental health, health screening, bullying, diet and nutrition, inclusion and community outreach, drug and alcohol awareness, life skill and personal development, anti-smoking, facilities development and engagement with older community members.